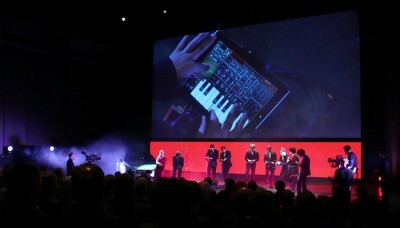 An Award-Show in 2013: 8 musicians are standing on stage – holding a tablet in their hands. A music solely played with music apps – how can this performance look and sound authentic? What technical risks does one have to take into account? And why are they moving so funny on stage? 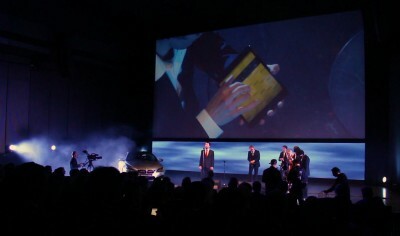 Due to their innovative instruments, consisting of smartphones and tablets, theDigiEnsemble Berlin was invited to play at the BMW innovation supplier Award 2013 in Munich on April 10, 2013. Two months before the show, the ensemble did not only practice the songs, but had to find suitable apps and figure out a light and video show for their performance. “Apps on Stage” shows snippets from the DigiEnsemble Berlin’s everyday life on tour to Munich and reveal problems and details that have to be taken into account when making music with Apps on stage.